¡@ In 1683, the Ching forces led by Shih Lang, a rebellious general of Cheng Chen-kung, took over Taiwan and convinced the Ching Court to incorporate Taiwan into the territory of Manchus as Taiwan was considered as a "protector of the inner provinces" of China. Henceforth, Taiwan became a part of the Ching Dynasty for 212 years until l895 when it was ceded to Japan. ¡@After having annexed Taiwan, Emperor Kang Hsi commented: Taiwan is a "trifling place. Taking it adds nothing and abandoning it is no loss," reflecting the passive attitude that has been the dominant public policy of the Ching Dynasty since its takeover of Taiwan. 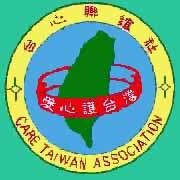 ¡@The main purpose of the Ching's rule of Taiwan in the ensuing 200 years was to prevent Taiwan from being a place of outlaws and pirates which have harassed the coastal provinces of China from time to time. ¡@Administratively, Taiwan was made a prefecture of the Province of Fukien. Under the passive "administration for defense only" principle of the Ching Court, a "government official and military rotational system" was installed to bar Taiwanese from serving as high-ranking officials or enlisting in the army. Meanwhile, another system was also installed to ban additional Chinese from crossing the Taiwan Strait to settle on Taiwan. This so-called "ocean crossing ban" intended to minimize emigrants, though ineffective, was not officially abolished until l875. ¡@ As a result of the rampant corruption and heavy taxes, Taiwan was so plagued by so many recurring social uprisings that historians and civilians alike characterized it as an island with "a minor uprising once every three years and a major one once every five years." During the period when Taiwan was placed under the jurisdiction of the Ching Dynasty, about 116 uprisings occurred in Taiwan. The most notorious ones were those led by Chu I-kuei (1721-22), Lin Shuan-wen (1786-88) and Dai Chao-tsun (1862-64). The "divide and rule" policy was consistently applied to quell those uprisings. ¡@ Although the Ching Court had tried to isolate Taiwan from China, she could not insulate it from foreign influences. After having lost in a war with the English and French forces in 1860, the Ching Court was compelled to open four harbors of Taiwan to foreign trade - Tamsui and Keelung in the north and Anping (Tainan) and Kaohsiung in the southwest. ¡@In l871, more than 60 Okinawans shipwrecked at Mudang at the southern tip of Taiwan and were killed by local aborigines there. On that excuse, the Japanese Empire sent fleets to occupy Mudang in 1874 and forced the scared Ching Court to pay compensation and apologize before the Japanese forces withdrew from Taiwan. This "Mudang Incident" served to awaken the Ching Court to foreign ambition on Taiwan and prompted it to initiate limited modernization programs. It was also a prelude to Japan's annexation of Taiwan in l895. ¡@ During the Franco-Ching War (1884 - 1885) over the Vietnamese sovereignty, French forces, in their attempt to occupy Taiwan and to use it as their supply outpost, attacked Keelung thrice, the third time using African troops of Algerian prisoners, and occupying the Pescadores and blockading the entire Taiwan for some time. ¡@After the end of the war, Empress Dowager of the Ching Court ordered the establishment of Taiwan as a province independent of Fukien, stressing her strategic importance as "a gateway to South China Sea" and "a protector of the seven coastal provinces" of the Ching Dynasty. ¡@ Liu Ming-chuan, the first governor of Taiwan, actively carried out several infrastructure projects in his efforts to reinforce Taiwan during his four years of office, thus making Taiwan the most developed province of the Ching Dynasty. Nevertheless, Taiwan fell into the hands of the Japanese Empire in 1895 when the Ching forces were defeated in a war with the Japanese.